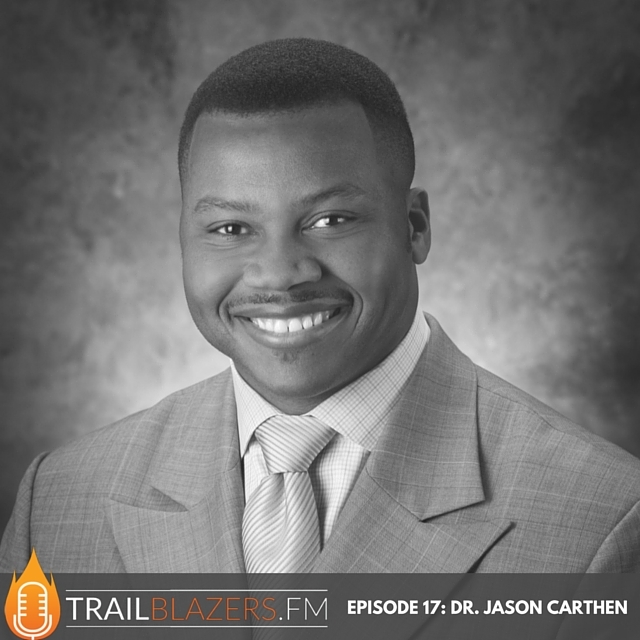 Dr. Jason Carthen is a former NFL football player for the New England Patriots and a highly sought-after international speaker in the areas of leadership, motivation and identifying your purpose in life. He has delivered his own unique brand of inspiration, passion and practical ideas to people in over 1000 audiences worldwide. Known as The Leadership Linebacker™ Dr. Jason Carthen is a former professional football player for the New England Patriots and a highly sought-after international speaker in the areas of leadership, motivation and identifying your purpose in life. He has delivered his own unique brand of inspiration, passion and practical ideas to people in over 1000 audiences worldwide. He is the Founder of Speak Life University™, which provides Business & Leadership Development programs for anyone interested in increasing their capacity to influence others positively through exceptional leadership. A prolific author, Dr. Jason has written over 150 articles and published three books related to leadership, business and personal development. His fourth highly anticipated book, Destiny Focused Leadership™ details the key behavioral traits of successful leaders that want to live and leave a legacy for their followers. He is also the author of several best-selling Online Courses addressing Leadership, Business and Sales strategy. No matter where he may be speaking or who his audience may be, the foundation of Dr. Jason’s message remains the same. You can achieve any goal, you can overcome any obstacle and you can find solutions to your toughest challenges by suspending your beliefs about what is possible and what is not when it comes to achieving your Destiny!